The multi vendor burden is real – with distributors and VARs spreading themselves thin trying to manage increasingly evolving price lists, cloud consumption, inventory cycles, compliance, sales targets, different processes and systems, and……PORTALS! Vendors have had a love affair with “Partner Portals” or “Partner Resource Management” for decades. And why not? The value proposition for a vendor is clear – become more efficient by pushing existing internal process down to the channel, strengthen partner engagement by sharing information and resources, and in return – your partners will sell more of your product. Right? Spare a thought for your average channel partner and the number of products or services they might sell. For example, let’s say a channel partner sales rep is selling on behalf of 30 different vendors. If every vendor has their own PRM, and it takes at least 15 minutes on each PRM to log on, and process what they need, they would lose roughly 20% of their sell time if they just logged in once in a 38 hour week. But, we know that they’ll actually log on multiple times to clarify information for each quote - especially in the renewals space. So the vendor might be “high-fiving” for reducing cost and overhead through their PRM, but what they don’t understand is they are weighing down their own sales channel! If roles were reversed, they would never agree to follow such inefficient processes within their own business. Through my years of experience building successful channel businesses, I can tell you that my team could easily waste 20 percent of valuable sales time dealing with countless partner portals. While our vendors might be pleased about providing partners with these new efficiency measures, the perception is completely different by the channel. And for channel CEOs, more work equals less profit, especially with margins consistently under pressure. 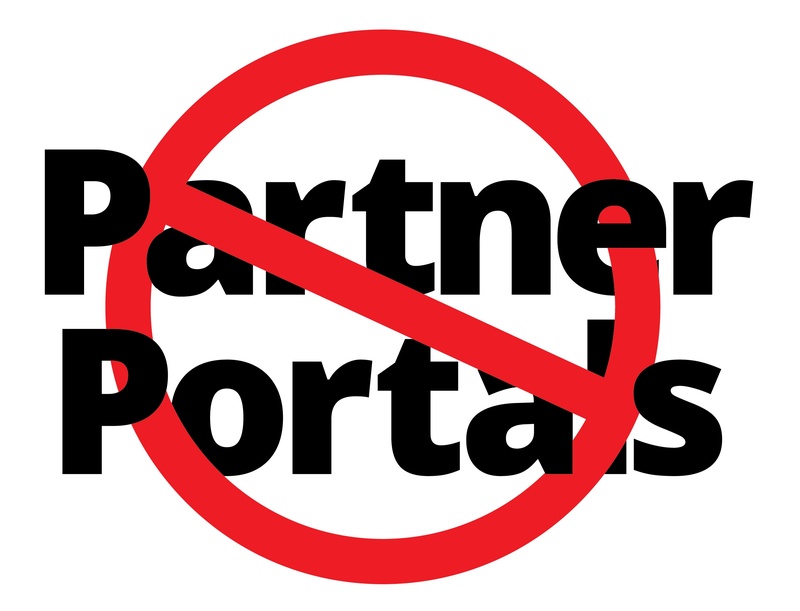 I understand why vendors are so attached to their partner portals, and I am not suggesting that they are going away. They can be helpful from a marketing perspective, but they all lack the valuable information partners need to manage their recurring revenues and product lifecycles. If you agree, then let me take you through how a channel partner could take a different approach to help reach the Nirvana of increased productivity at all levels of the channel. Why log into countless partner portals when you can have an internal platform that offers visibility into your entire product lifecycle, for every vendor/product/partner - all in the same instance? You could even take it a step further and have your platform take over the time consuming processes by integrating with your vendor’s system. Just like one of our customers that has 9 interfaces directly in to their vendor's system - a move which has saved both parties countless hours. Our platform also enables integration into existing IT systems such as your ERP, CRM and service platforms, in order to build and maintain your installed base from which all campaigns can be performed. And because we know logging into multiple systems can be a pain, we also offer single sign-on. We work with some of the biggest names within the IT channel. If one of your channel partners already has their own iasset.com instance, once permission is granted, the two instances can exchange data, facilitating a fully automated process immediately and 24/7. And that my friends – is our version of Nirvana! Read how iasset.com helped a global distributor automate their product lifecycle management, incorporating data from over 400 vendor lines and providing access to 18,000 partners.